NEWS: My short story, “A New Stage in Life,” will be published by Chicken Soup for the Soul. 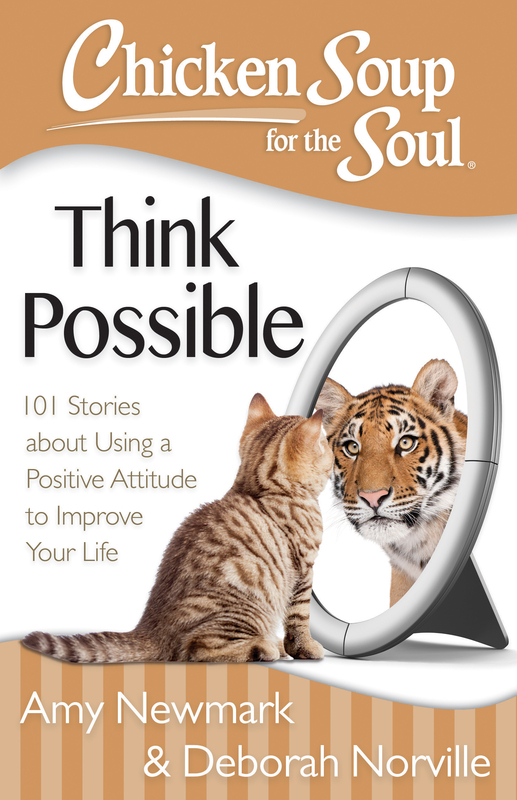 It will be available in bookstores on October 6, 2015 in their book to be called: Chicken Soup for the Soul: Think Possible. Why am I making an effort to conserve water when it’s being wasted, squandered or stolen by others? Why am I still seeing so many very green lawns around Los Angeles? 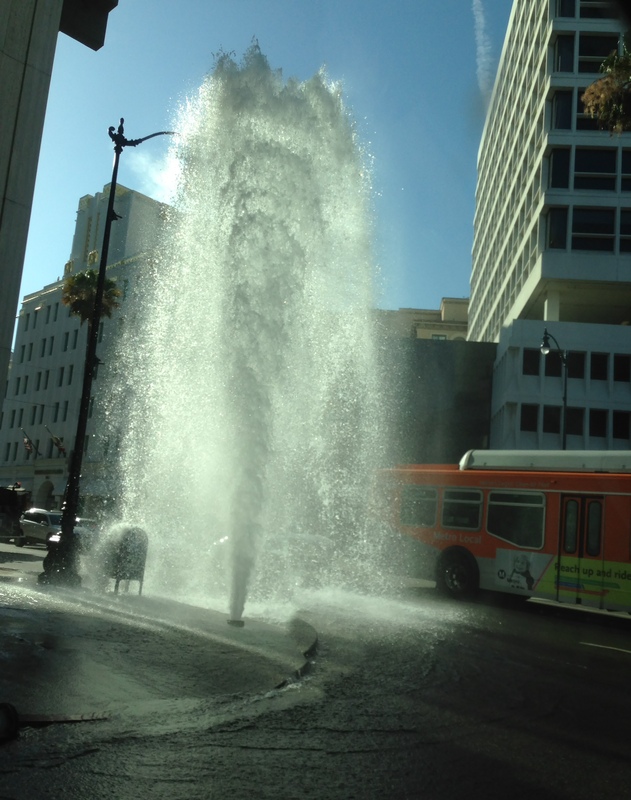 Within a one week period while driving, I came upon two broken water pipes, this one in Beverly Hills and another one in Sherman Oaks. The precious water was rushing down the street into the gutters. Oh Magnum, How Could You? All by yourself with just a few bad acts, you may have added a new verb to our lexicon: to selleck. To anyone else thinking of “sellecking,” don’t you dare steal my water in this drought. It’s bad enough that old pipes are breaking and flooding streets with the precious water I have been trying so hard to conserve, one toilet flush at a time. The answer to my question at the beginning of this post: Because, for me, it’s the right thing to do. Don’t let your actions be dictated by the behavior of others. When you feel something is wrong, don’t opt for that choice just because someone else does. Live your life on the moral path that’s right for you. Don’t live it always trying to get away with something, trying to screw the next guy before he screws you, always worrying about being caught. You will feel better about yourself and glide more smoothly as you go. Play nice on the playground even when others don’t. My friends and I had just finished dinner at a local Asian restaurant. We moved to the obligatory next step and opened our fortune cookies. 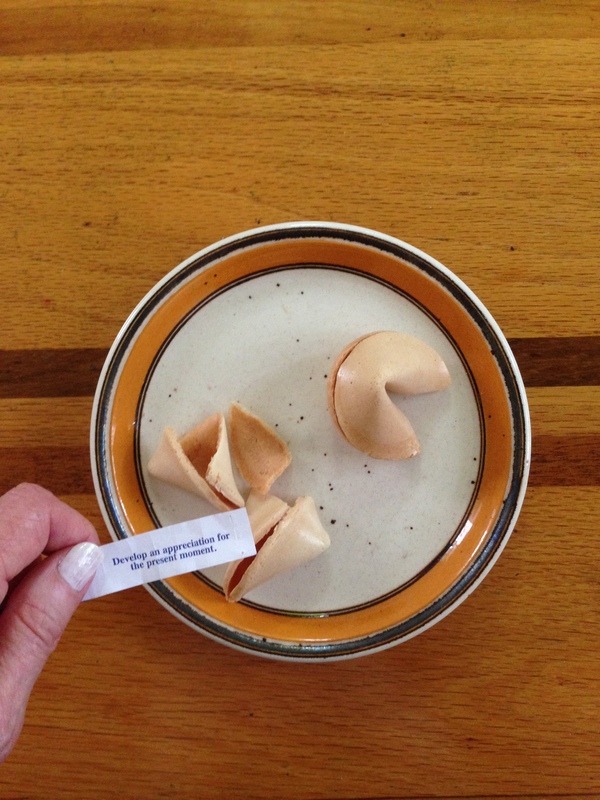 “Here, Lee Gale, write a blog about this,” suggested Sheila as she handed me her fortune. The thin slip of paper said: “Develop an appreciation for the present moment.” I put it in my wallet and forgot about it. A few weeks later, I noticed it hiding between a one-dollar and five-dollar bill. What shall I write, what shall I write? I pondered. Some days later, I had parked my car in the underground parking lot of my neighborhood corner shopping center and was running for the elevator. I squeezed in just as the doors were starting to close thinking, Whew, I made it. These stupid elevators take so long to come. I turned around to face front as all good elevator riders are taught as children when I noticed an obese, crippled woman walking toward us. Without even thinking about it, my arm shot up between the doors and broke their pending contact, almost breaking my arm in the process. I forced the doors open and said, “Don’t rush. We’ll wait for you.” Of course, I hadn’t polled the other passengers, but I noticed one looking at me, smiling, and nodding. The lesson was that the present moment had presented me with an opportunity to do something nice for someone else and to feel good about myself–no, proud of myself. The woman stepped into the elevator and thanked me. Maybe she’s used to people helping her out. She’s also probably used to people ignoring her or even berating her for delaying them as they go about their busy and important agendas. We exchanged a few idle, ice-breaker words as the elevator took off. When it arrived at her floor, she thanked me again as she exited. It should have been me who thanked her. With a tip of the hat to Clint Eastwood, she “made my day.” I am sure I walked a few inches taller until bedtime. Get some of those good feelings for yourself. It’s easy; just be kind to others. Your acts might even splash onto bystanders, too, and remind them to slow down and appreciate the present moment.